"#1 Agent at Keller Williams Towne Square 2015 - and 2016! The Agent You Choose Really Does Make A Difference! Choosing Jeanne as our realtor was hands-down the best decision we made when we started our house hunt. She is so knowledgeable, responsive, understanding, smart, and diligent. — Kate & Steve M.
We went from knowing absolutely nothing to being informed and confident home owners in a period of three months, all thanks to Jeanne. And since it was our first time buying a house, she helped us at every stage. I would definitely recommend Jeanne and rank her highly as the best in the area. She is beyond professional, responsive, helpful and above all else very very personable. — Chelsea & James S.
Jeanne Feenick shares what she has learned in this new monthly outreach, Feenick Reflections. 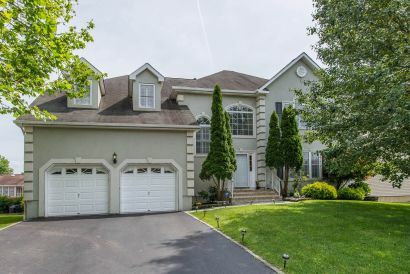 Price reduced to $775,000 for 28 Addison Drive, Basking Ridge, NJ 07920. Call/text Jeanne Feenick to see 908-337-0943. 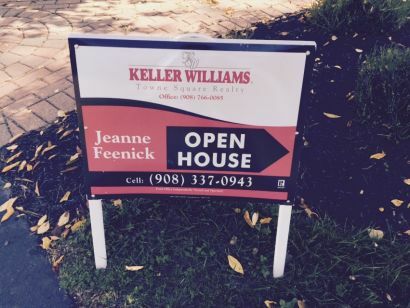 Jeanne Feenick leverages Open Houses to sell homes!